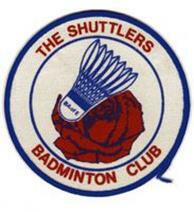 The Shuttlers Badminton Club was basically begun in 1976 by my wife Valerie playing with four friends. It was then continued by myself playing and we played every week on a Tuesday without a break till 2001 (25 years) and at one time in the eighties had over sixty paid up members. It was more a social club than a competitive one although we were affiliated to the Badminton Associated for two years. We also had a fun tournament with the third largest Channel Island Alderney’s Badminton Club for a number of years in which every year either club ( mostly us) would fly across to each Island to play for a small trophy we supplied. I was running the club alone but luckily in the early nineties the late Clive Le Seelleur began acting as treasurer and this was a great relief for me. I do not play anymore. I last played in NZ not long ago. My youngest daughter Marianne is a very good player and plays regularly with a club in Hamilton New Zealand where she now lives (winner of the ladies singles in her club). SUCCESS for the Alderney Badminton Club came in their first home competition against a visiting team. Twelve members of Jersey’s Shuttlers Badminton Club visited Alderney last weekend and played against members of the island’s badminton club. The competition was played during Saturday afternoon and, in a nail- biting finish, the home team won the event by 13 games to 12. The Alderney squad consisted of Pauline Walker, Pauline Dale, Janet Beechey, Anne Rizzuto, Yvonne Greenstock, Jill Smith, Shelagh Bianchi, Bill Greenstock, Marc Sumner, Robert Blondin, Mark Treais, Roy Stower and David Bohan. Four rounds of games were played, with the players swapping partners after every round. After a slightly nervous start in what was for some of the squad their first taste of competitive badminton the home team found themselves four games to love down. A run of four winning games leveled the score and from that point the match remained evenly balanced, with some members hardly able to watch the final two games which decided the event. After the competition Alderney club president Bill Greenstock presented a shield to the visitors. They in turn presented a magnificent trophy to be competed for annually on an alternate home and away basis. The afternoon was enjoyed by competitors and spectators and the whole event was played in a friendly manner. Mr Greenstock commented on this in his closing comments and he paid tribute to the organization which had allowed the players to give of their best and enjoy their games. He echoed the feelings of all the home players when he said he was looking forward to the return match in Jersey at the end of the next season. Some Alderney players are in the photo with us. The Shuttlers 1988 team were myself Maurice, Paul, Reg, Mark, John, Bob, Mike, Kay, Christine, Margaret, Alison and Jenny. These were all excellent players and I was really proud of them. Alderney Badminton Club were hosts on 14 September to “The Shuttlers” - a Jersey team. After the evening game, Alderney celebrated their victory over a delicious meal and lots of wine. The Jersey visitors remained in Alderney, enabling them to liaise with the Tennis Club for a few members to have a game the following day. The history of The Shuttlers Badminton Club through the years. In 1977 Val and I began the club when we hired St Matthews RC church hall Coin Varin, St Peter before it became a youth club. Val also founded and ran the nursery school from there previously. Father Farmer allowed us to set a badminton court up in the hall and actually played some games with us along with my sister Mary and brother-in-law Clarry on occasions. LOCAL CLUBS IS BEING ARPANGED BY THE SHUTTLERS BADMINTON CLUB. Maurice, Chris, Peter, Alan, Graeme, Ray, Mick, Bill, Paul, Tony, Andy, Colin, Harold, Nigel, Bill, Andrew, David. The Shuttlers Badminton club formation when affiliated in 1981. I have not put Surnames but names such as Powling, Finn, Pipon, Milon, Durnford, Greenlee,De Laney Mills, Jones etc and many more will be recognized by previous members. Maurice, Graeme, Andy, David, Clive, Keith, Ian, Harold, John, Mark, Nigel, Peter, Steve, Paul, Bob (M), Steve (F), Bob .Andy (I), Rodney, Mark Martin, Des, George, Charles, Duncan. Shirley, Maleka, Mary, Carole, Rebecca, Christine, Carol, Heidi, Maggie, Sue, Diane .Lorraine, Venetia, Bernadette, Clare, Brenda. 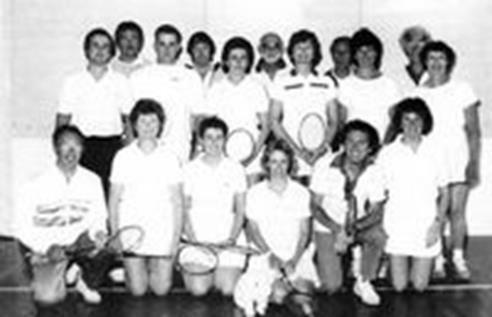 Winter session 1983 we played in the Island League against Island Juniors, Bluebird, Optimist, Wings and Benwelly badminton clubs. Heidi, Venetia, Sue, Carole, Dina, Sharron, Christine, Mary, Clare, Beverley, Barbara, Irene, Bernadette. Spring session 1984 we played in the Island League. Dina, Carole, Bev, Heidi, Christine, Sue, Mary, Bonnie, Maleka, Sharron, Tiena, Sally. Maurice, Warren, Clive, Mike, Mark, Bob D, Alex, Bob T, Nigel, Martin, Roy, John, Mark, Steve, Alister, Mick, Graeme, Dave J, Joe, Marcello, Richard, Andy N, Barry, Derek John W, Dec, Reg, Cianan, Luca, Andy D, Andy I, Barbara, Christine, Venetia, Margaret, Sharron, Debbie, Sarah, Carole, Pat, Rhonax , Kay, Jenny, Meryl, Eleanor, Vivian, Bonnie, Maleka, Rosemarie, Linda, Jacqui, Beverly, Rona, Helen, Maggie, Heidi, Libby, Nicole, Shirley, Barbara, Anne plus lots of non member guest players. Many old members and the last month’s club games were played by the following. Friendly’s I organized over the years. We played the Alderney Badminton club (run by Janet Beechey) on many occasions in Alderney and here in Jersey. We played the Bluebirds Badminton club (run by Mrs D Daghorn and Carol Wiseman) at Gilson hall and Fort Regent on occasions. We played The Endeavour Club, Youth club of the E.C.C. group from St Austell Cornwall run by youth leader Matthew J. Parsons. We also played the Police, Granville, Wings ( Tim Knights) and Optimists ( Chris Bouchere) badminton clubs a few times . Lots of messages of thanks received such as the example below. A big thank from all the members of the Endeavour Badminton Club for your great help to us regarding our visit to Jersey. We had a super time and enjoyed all our games of badminton. Thank you especially Maurice for without your help none of the weekend would have been possible. I would like to extend an official invitation to you to return to Cornwall at your convenience. Would you please let me know if and when you could come so that arrangements can be made this end? Please convey our thanks to the Police, St Lawrence PTA and the Granville Club. We played every Tuesday from 1979 till 2001 without a break at Fort Regent Sports hall from the day it opened, I believe the longest club to do so. One Tuesday after about twenty years continuous playing and fixed booking I arrived without my Fort Regent membership card and staff would not let me in. I had to leave all the equipment with one of my club members so they could start and go back home to get my yearly membership card. It was new staff and no manager was available at the time although they did apologise later. That’s life! I have lots of stories and pictures coming soon……………………….. 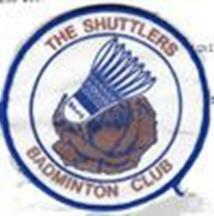 The Shuttlers Badminton club logo for 25 years. As you can see we all enjoyed ourselves, win or loose. Below. Shuttlers Christmas party 1984 some in fancy dress. Over the years I persuaded many of our members to play badminton for the first time at our club and they really enjoyed it becoming good players. There were just a few who sadly could not pick it up.no matter how hard they tried. I did have some problems when experienced players were not happy playing with beginners but we overcome that. It was the social side that was important to us all and to have fun. I hope they all have happy memories of those times.